Spring break is upon us. Folks heading to the beaches. Skin, underarm, scalp, hair…..absorb the chemicals contained in whatever you put on them. Lotions, antiperspirants, shampoos, conditioners, sun screens. Better head to the healthnut store for those. If you don’t want it in your blood stream, don’t put it on your skin, underarm, on your scalp, or in your hair. 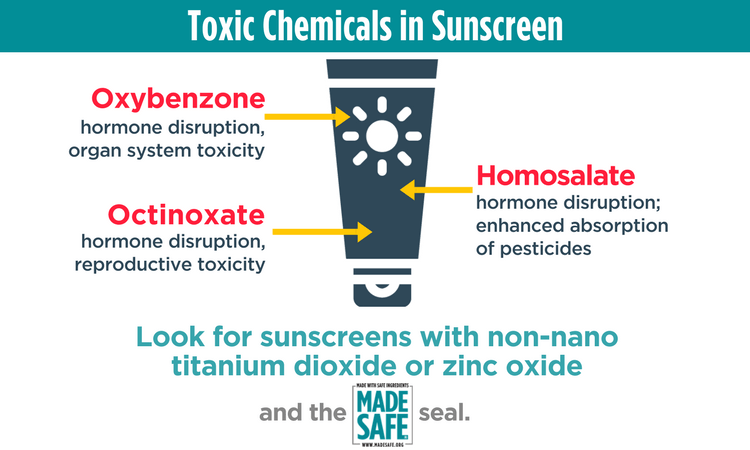 If you insist on wearing sunscreens consider using Australian MacNut oil instead of the stuff that’s killing off cells in your liver that has to filter the chemicals out of your blood stream. The stuff that gets into your blood stream has to go somewhere. Go 30 to 40 years of presenting that stuff to your body and something is gonna go wrong. Lotions, antiperspirants, shampoos, conditioners, sun screens. Better head to the healthnut store for those.